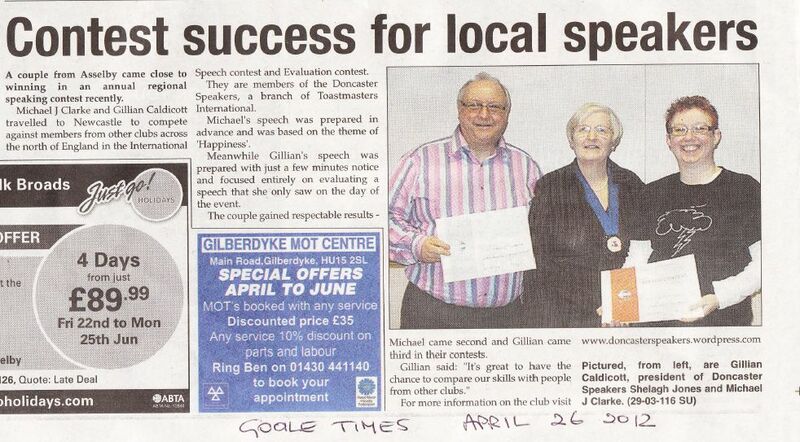 We’ve had a great bit of press coverage in the Goole Times this week, celebrating the involvement of Michael J Clarke and Gillian Caldicott in the recent speaking competitions. Posted on 1 May 2012, in News. Bookmark the permalink. Comments Off on Goole Times Toastmasters Feature.